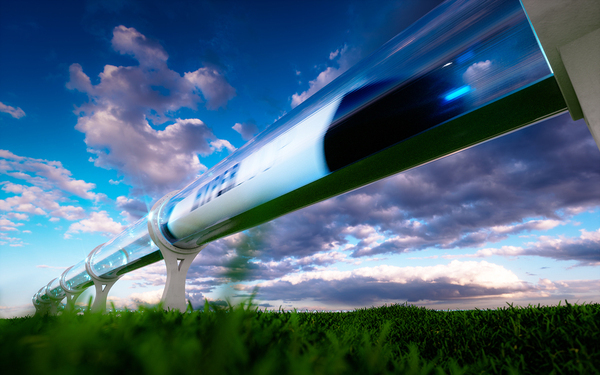 The Hyperloop: What Do Early Investors Know? Virgin Group’s Richard Branson recently invested in Hyperloop One, the tunnel that promises to make transport fast. Does this interest mean that Elon Musk’s Hyperloop idea is reaching feasibility for a business strategy at last? Well, it indicates that the project is moving from moonshot status — “It would be nice but who knows if it can actually work?” — to something people believe will work, even if the time frame is somewhat far off. The Hyperloop, of course, is bit technology news. It is a very high-speed transport system that, at estimated speeds of 780 mph, could move riders from San Francisco to Los Angeles in 30 minutes. The trip now takes more than 5 hours. It consists of low pressure tubes into which levitating pods would be placed. The Hyperloop system would replace all forms of surface transport, such as cars, buses, and trains, with a method that’s both faster and cleaner, as the pods burn no fuel. The convenience of extra-rapid transport and the clean energy aspect are part of its potential benefits but so is the simple fact that transportation and infrastructure needs are pressing in urban areas, and likely to become more so in the next few decades. As Ars Technica notes, for example, roughly 2.5 billion more people will be living in urban areas by 2050 than do now according to United Nations data. That implies a need for more infrastructure, such as roads, airports, and transit. But infrastructure is already in place and close to or exceeding capacity nearly everywhere. Expanding existing infrastructure is not only difficult to impossible, it’s time-consuming and expensive. It’s also expensive at a time when governments — the traditional financial backers of infrastructure — are under pressure to maintain or cut back on budgets, not expand them. Enter the hyperloop. It is one of several visionary transportation methods backed and championed by billionaire investor Elon Musk. While Musk’s projects include flying to Mars and powering cars with electricity, they also include an interest in people in unconventional ways, including under the ground and over it. Both have been proposed for the Hyperloop. Branson’s Hyperloop One project seems to be planned for above ground tunnels. The website optimistically sports a “Routes” tab, although no actual routes are yet available because no tunnel is yet built. But the website does allow viewers to plot their preferred routes and see the time savings over current methods. Future hyperloop speeds may be as fast as 780 mph. Perhaps the investment of people like Branson is valuable for the visibility it brings to the Hyperloop concept. The conversation, as Ars Technica points out, is gradually being moved to discussions of when a hyperloop will start to move, not whether. Proponents of the hyperloop point out that the individual pieces of the technology have been around for a long time, and that the future challenges are primarily integrating the system. Other observers point out that the technology is only part of it. Routes need to be planned, designed, and implemented. The tunnels are likely to need permits, government and even private approval before design and build stages can take place. Estimates on when the Hyperloop may become a reality range from 4 years to several decades. So while high-profile investors bring a spotlight to the Hyperloop, they are not yet sufficient to book a ride on one. But a future ticket is starting to look increasingly possible.